Antarctica’s Pine Island Glacier B31 calving on NASA video. Antarctica’s Pine Island Glacier is captured by NASA video melting before our eyes, releases massive amounts of ice, one measuring 12×24 miles in size (nearly 290 square miles), and many others in a large flotilla of icebergs. An iceberg called "B31" began its journey out into the Southern Ocean. It is just the most recent event in the now ongoing decline of the Pine Island Glacier. And we can expect many, many more major ice releases as this vast glacier continues its deglaciation. "Iceberg calving is a very normal process. 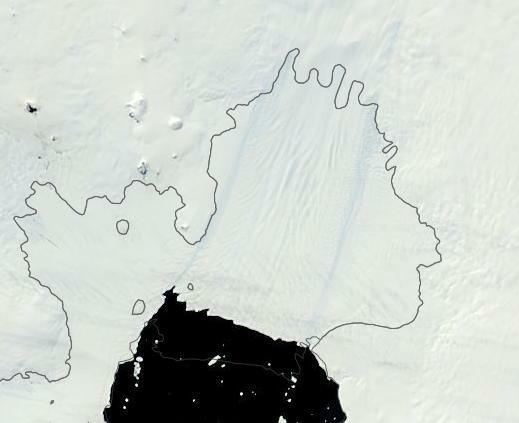 However, the detachment rift, or crack, that created this iceberg was well upstream of the 30-year average calving front of Pine Island Glacier (PIG), so this a region that warrants monitoring." said Kelly Brunt, a glaciologist at NASA’s Goddard Space Flight Center. The Antarctic ice sheet is the largest mass of ice on earth, containing the equivalent to 190 ft. of sea level rise. 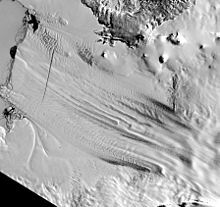 The Pine Island and Thwaites glaciers are two of Antarctica's five largest ice streams. Scientists have found that the flow of these ice streams has accelerated in recent years. If they were to melt, global sea levels would rise by 3 to 6 ft and would risk destabilising the entire West Antarctic Ice Sheet. About 14 years ago, another large ice mass called "B15" calved from Antarctica. Iceberg B-15 is the world's largest recorded iceberg. It measured around 183 miles long and 23 miles wide, and calved from the Ross Ice Shelf of Antarctica in March 2000. The video below will give you an idea of the size of these. In March 2000, Iceberg B-15 calved from the Ross Ice Shelf near Roosevelt Island, Antarctica. 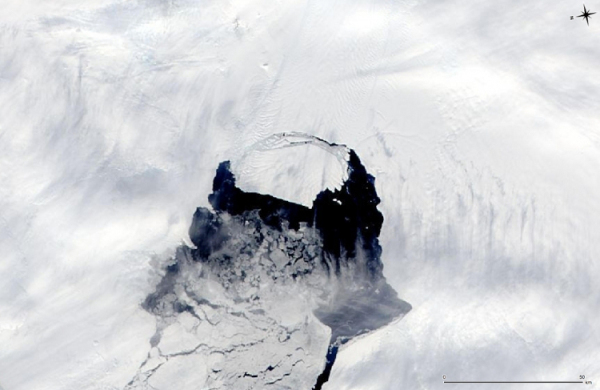 The calving occurred along cracks in the ice shelf, similar to what happened to B31.